It looks like Nintendo is finally going to bring their famous plumbers to the big screen. Well, they may not actually be plumbers anymore, but that's a little beside the point. Nintendo is currently nearing a deal with Illumination Entertainment, the studio behind Despicable Me, to bring a Super Mario Bros. movie to life. Nintendo isn't going to make the same mistakes they've made in the past, as this is set to be an animated feature and not a live-action movie. 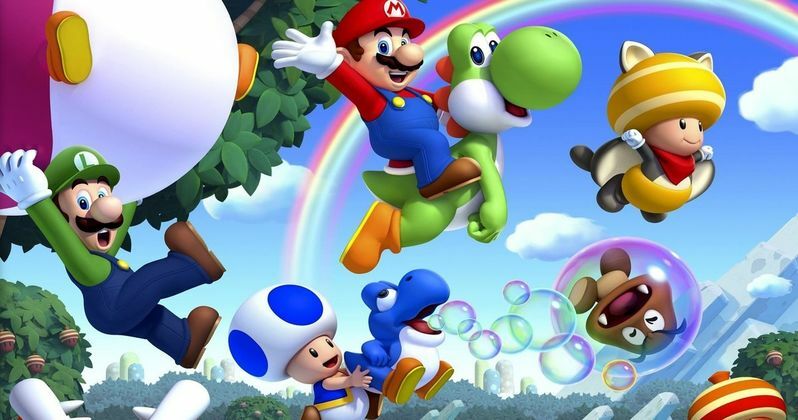 A new report claims that "people with knowledge of the discussions" say Nintendo and Illumination are very close to signing a deal that will make this proposed animated Super Mario Bros. movie a reality. Nintendo has been extremely guarded about bringing its properties to Hollywood over the years, but it looks like they may finally be breaking into the movie business. Reports have swirled in regards to Nintendo being interested in animated movies for quite some time, but nothing has materialized. According to the report, the complicated process of making this deal with Illumination has hinged on Nintendo being involved in the creative process. "The most complicated issue in the negotiations between Illumination and Nintendo has been making the Japanese videogame company feel confident it will be involved enough in the creative process, said one person close to the talks. Nintendo's creative guru, Shigeru Miyamoto, who created Mario Bros., has been part of the talks and likely will be a producer on the movie, along with [Illumination chief executive Chris] Meledandri." Nintendo has reason to be wary of potentially harming their cash cow Mario and his brother Luigi with another big screen endeavor. In 1993, the live-action Super Mario Bros. movie, which stars Bob Hoskins as Mario and John Leguizamo as Luigi, was released in theaters and, unfortunately, kicked off a decades-long trend of terrible video game movies. Nintendo managed to get the rights back after the disastrous movie was released and, ever since, they've avoided the movie business. Understandably so. However, animation seems to make a lot more sense for most of Nintendo's properties. Especially Super Mario Bros. It feels like something that was always destined for animation. And, say what you will about Minions, but Illumination has an incredible track record in terms of success. They make crowd-pleasing movies that make a ridiculous amount of money. Case in point, their 8 theatrically released movies have grossed a grand total of $5.74 billion at the global box office. Two of which, Despicable Me 3 and Minions, have grossed more than $1 billion on their own. While many details still need to be worked out, this deal would allow for Illumination to make multiple Super Mario Bros. movies in the future. But, according to The Wall Street Journal's report, only one is currently being planned. It's not clear when it's going to happen, but it looks like, unless something crazy happens, Mario and Luigi will return to a theater near you in the not-too-distant future.